i decided to go natural in january. i took both of these pictures this week. the picture with my hair straight is the first time i've had heat on my hair in 6 months. i rock my little baby fro mostly. and whenever i feel down, i let my fingers dance in my hair. instant mood lifter. my soror said "i didn't know your hair was so long"
i told her "the fro holds secrets relaxed hair knows nothing of." 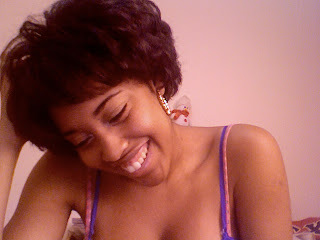 I've been natural since last august. So true....I made my BC in jan too and I'm never goin back to the LIE! 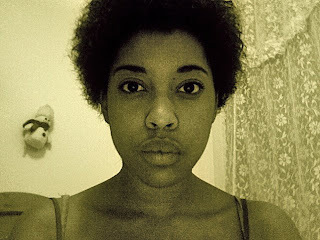 "the fro holds secrets relaxed hair knows nothing of"...damn! That should be Black CUS' slogan!